Contact Sue Unger 503-953-8328 or sunger@archdpdx.org for more information. A safe place for moms to pray together, support one another, and grow in faith. The life of a family is filled with beautiful moments: rest, meals together, walks in the park or the countryside, visits to grandparents or to a sick person… But if love is missing, joy is missing, nothing is fun. Jesus gives always gives us that love: he is its endless source. In the sacrament he gives us his word and he gives us the bread of life, so that our joy may be complete. Catholic Families Worship Together–The Eucharist is the source of our love and the sign of the intimacy to which we are called. Therefore, as a family, we attend Sunday mass weekly (and Holy Days and at other times as we are able) and we actively participate in parish life–our spiritual home away from home. We also recognize that as fallen persons, we struggle to be the loving community we are called to be. Therefore, as a family, we regularly go to confession (recommended: monthly) to seek God’s healing and grace so we might better live his vision of love in our lives and homes. Catholic Families are Called to Intimacy–Tertullian once proclaimed, “The world says, ‘Look at those Christians, see how they love one another! '” The Christian life is first and foremost a call to intimate communion. We recognize that families are “Schools of Love.” Therefore, as a family, we constantly challenge ourselves to seek to discover new ways to be even more open with and loving to each other as husband and wife, parents and children. We recognize that children are to be a visible sign of the loving union between husband and wife and we work to make this a reality in our homes both in the quality of our relationships and in our openness to life. Further, we cultivate marriage and parenting practices that make each member of the family–husband and wife, parents and children– willingly open up to one another and seek to freely give themselves to create a deeper “community of love” and practice all the virtues that help us live life as a gift. 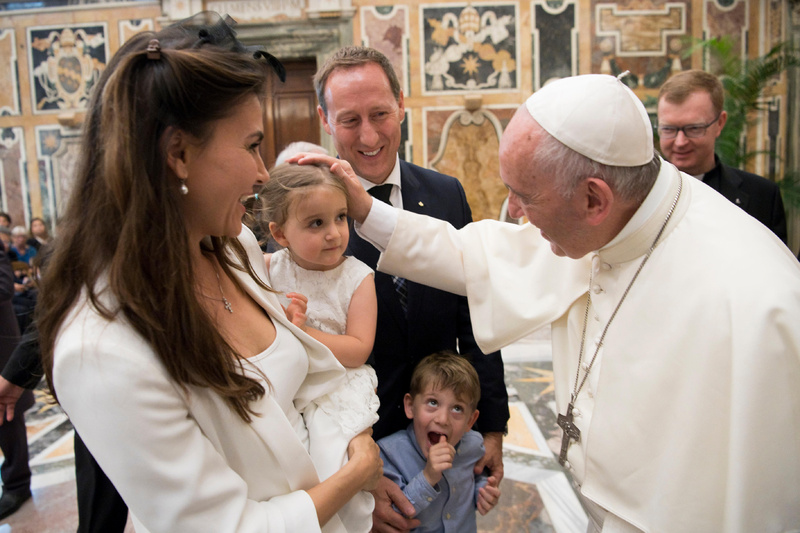 Catholic Families Put Family First–We recognize that– because our family relationships are the primary vehicle God uses to perfect us and challenge us to become everything we were created to be–family life, itself, is the most important activity. To protect the intimacy we are called to cultivate as the domestic church, we recognize the importance of regular family rituals and we are intentional about creating and protecting those activities such as family dinner, family prayer and worship, a game night and/or “family day”, and regular time for one-on-one communication and relationship-building. We hold these activities as sacred rituals of the domestic church and value them over all other activities that would seek to compete with them. The Catholic Family is a Witness and Sign–God wants to change the world through our families. We allow ourselves to be part of his plan for changing the world in two ways. First, by striving to exhibit– in every way possible in our daily interactions as husband and wife, parents and children– the love and intimacy that every human heart longs for. We must show the world that this love is a possible dream worth striving for. Second, we will carry this love outside the home by serving the world-at-large in a manner that is responsible and respectful of the integrity of the family unit. We do this by committing ourselves and our families to the intentional practice of all the corporal and spiritual works of mercy within the home and outside of it. To this end, the ways we, as a family, are trying to fulfill this responsibility will be a regular topic of conversation in our homes.